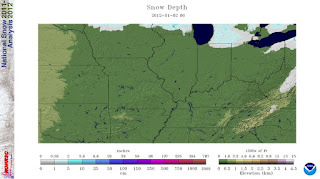 Amazing what four days can do to for a winter’s snow totals. Two storms and in some cases more than 20” of snow has fallen across parts of the Midwest. 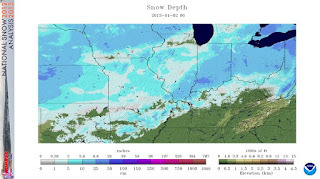 It all started last Tuesday/Wednesday as upwards of 18” of snow fell in parts of Missouri, Illinois and Indiana. Then Friday night/Saturday morning another couple of inches of snow fell. According to the National Operational Hydrologic Remote Sensing Center, 76.6% of the Midwest was covered with snow this morning. Compare that to a year ago when only 0.6% of the Midwest was covered. Even a person not great at math can figure out that is a HUGE increase in snow. 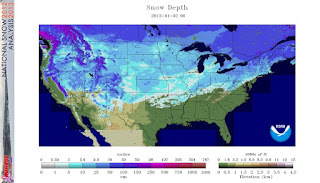 Nationally, as of this morning 65.8% of the continental United States was covered by snow. Whereas last year only 18.7% was covered. For those of you that do not like snow, you will like the next 6-8 days as forecast models suggest a quiet weather pattern. Temperatures may even moderate a little early next week but winter is far from being done.